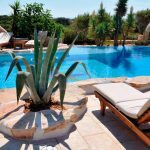 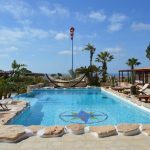 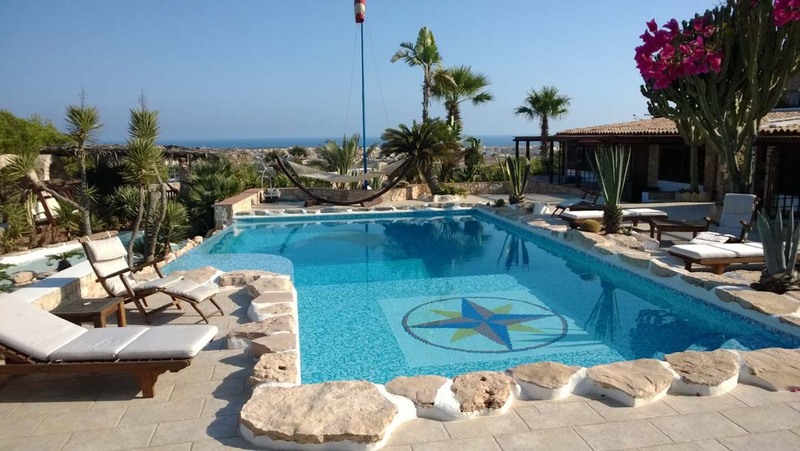 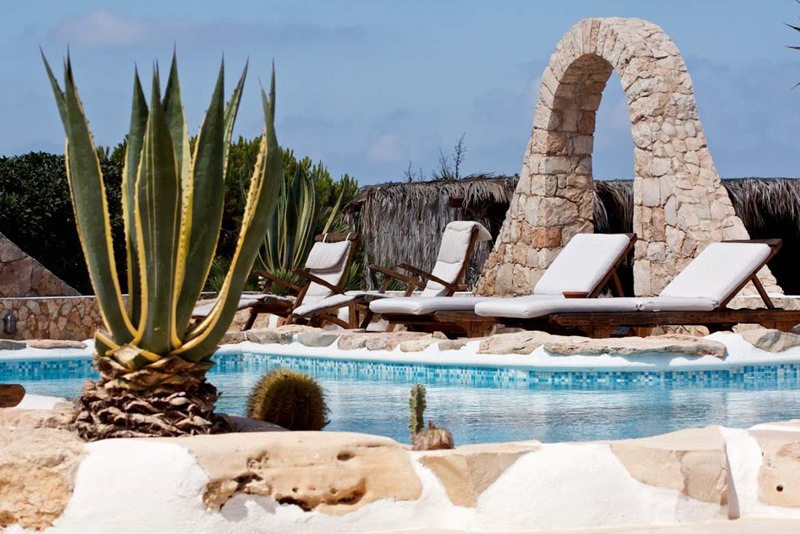 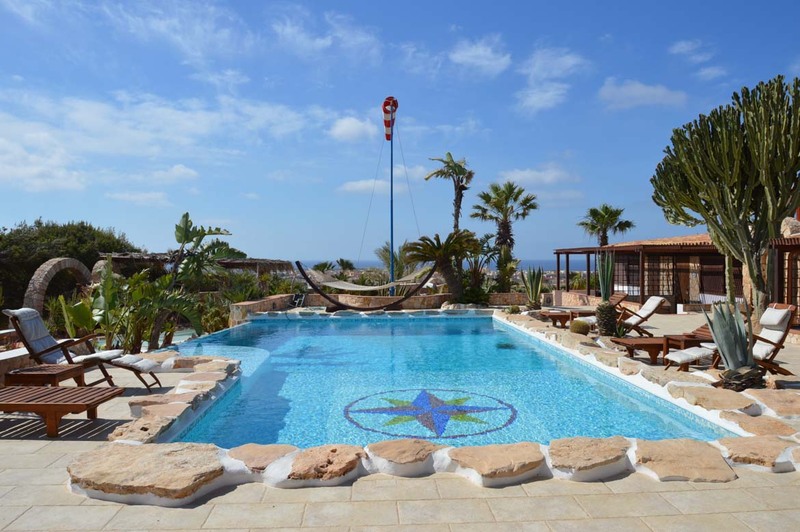 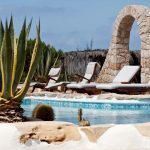 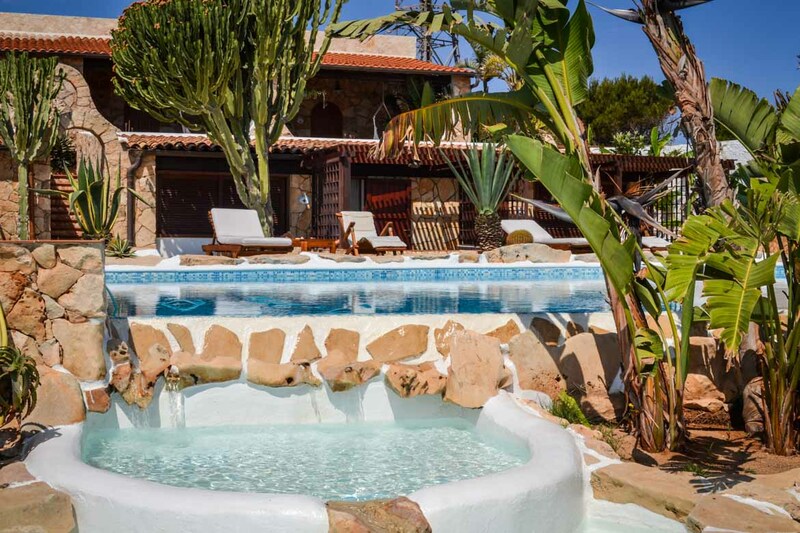 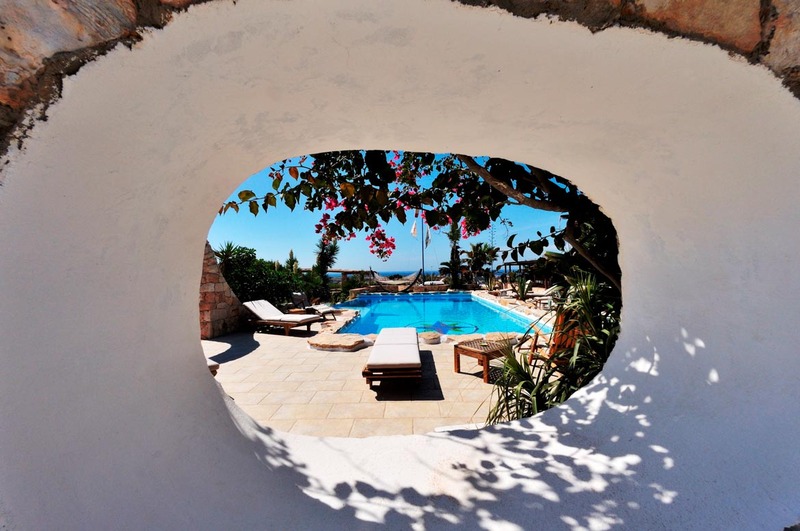 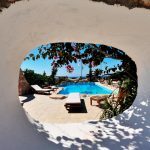 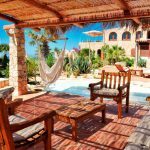 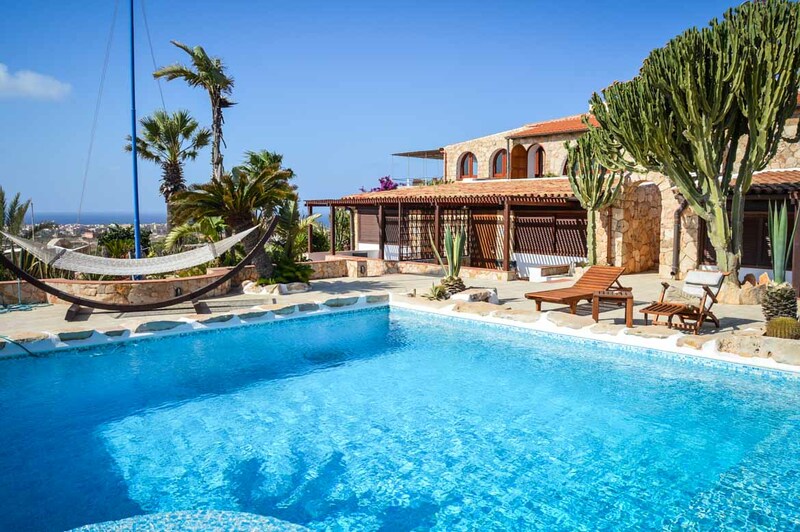 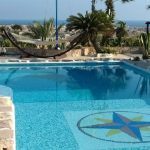 La Rosa dei Venti Club is a gorgeous Hotel with swimming pool located on the wonderful island of Lampedusa. 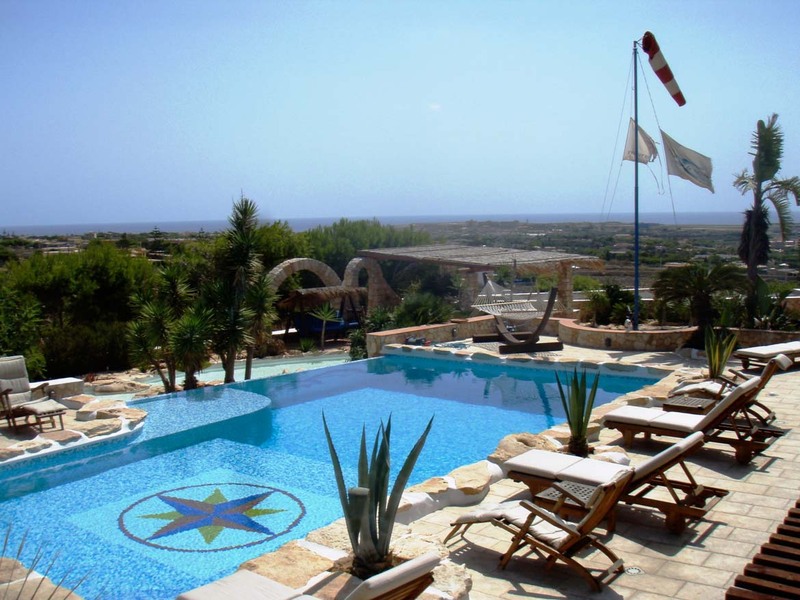 The swimming pool is the real heart of our Club and is at your free disposal from morning till evening. 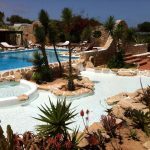 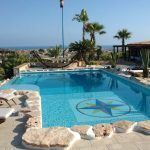 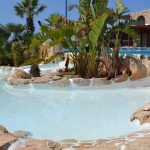 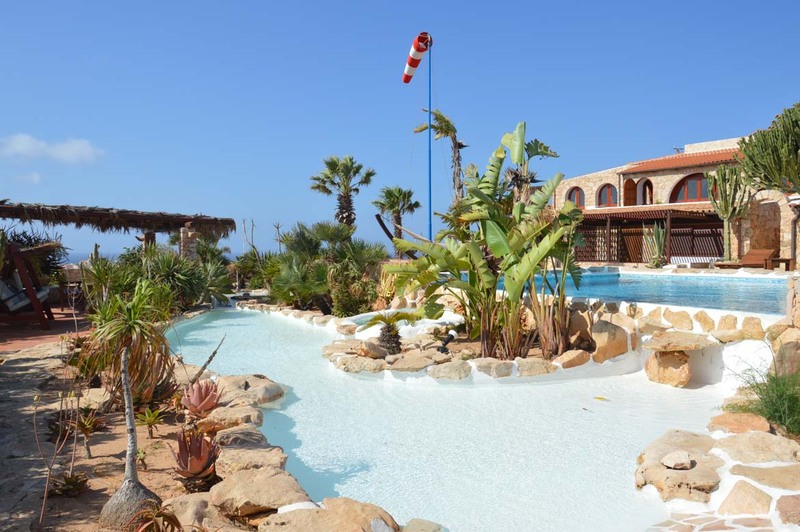 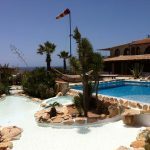 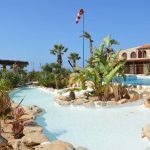 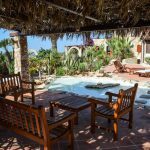 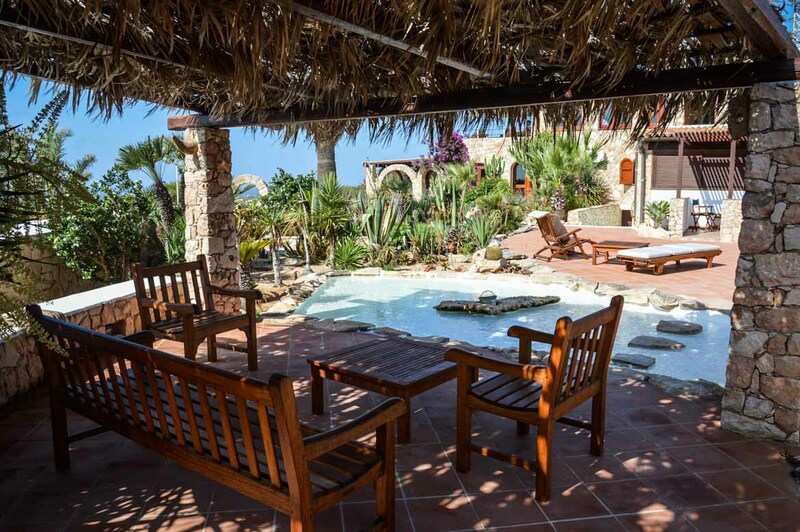 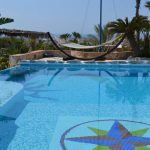 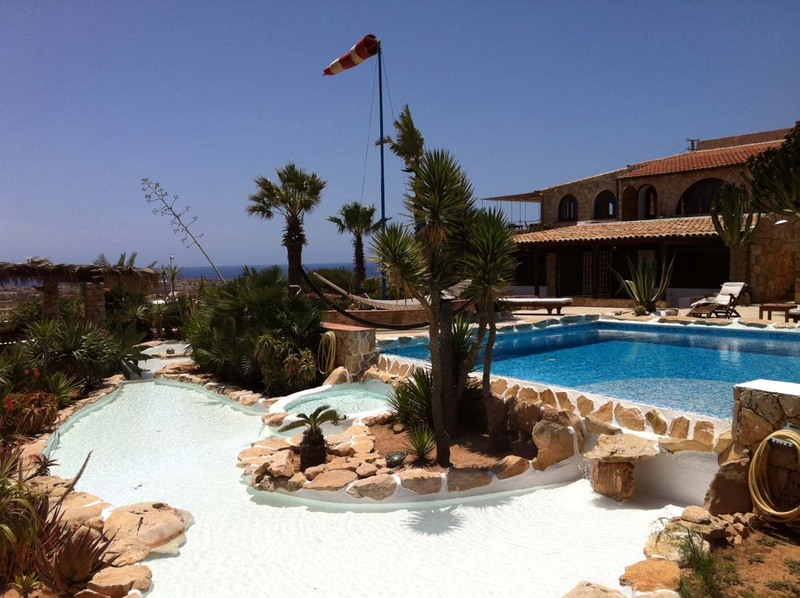 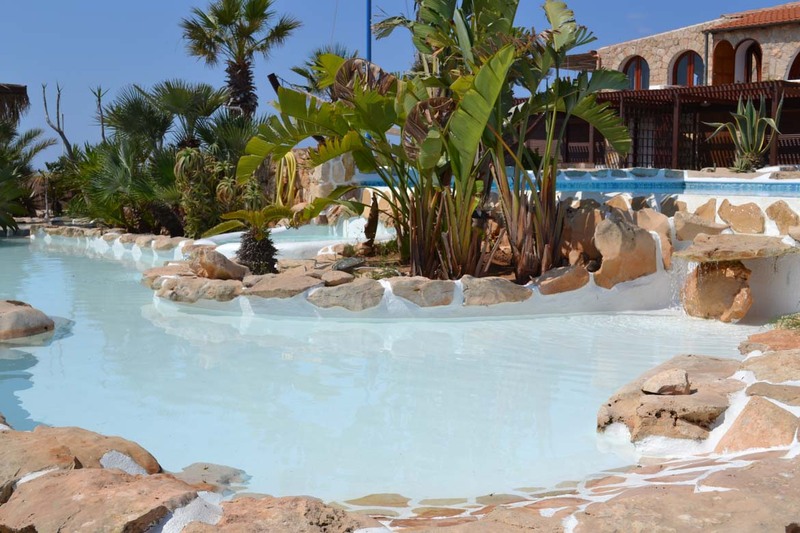 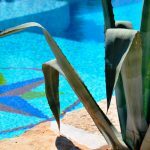 Such as all of the other parts of the club also the pool area is daily kissed by the sun and very popular amongst our guests. 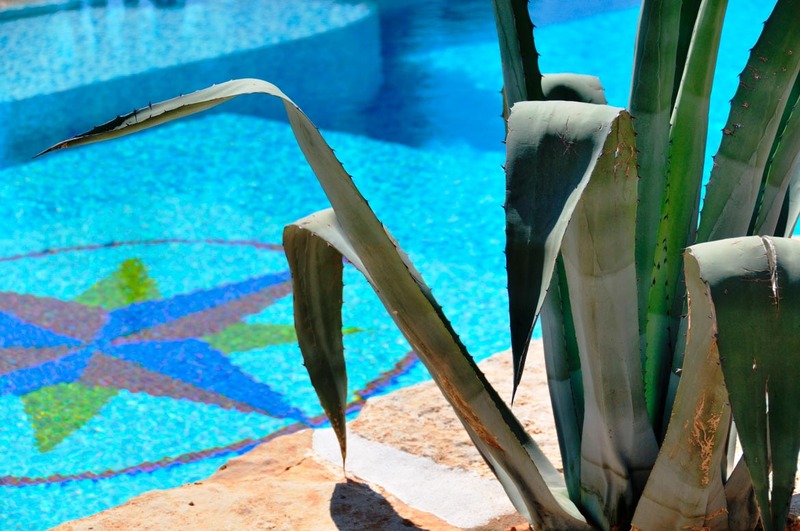 You can start your day with a refreshing morning swim. 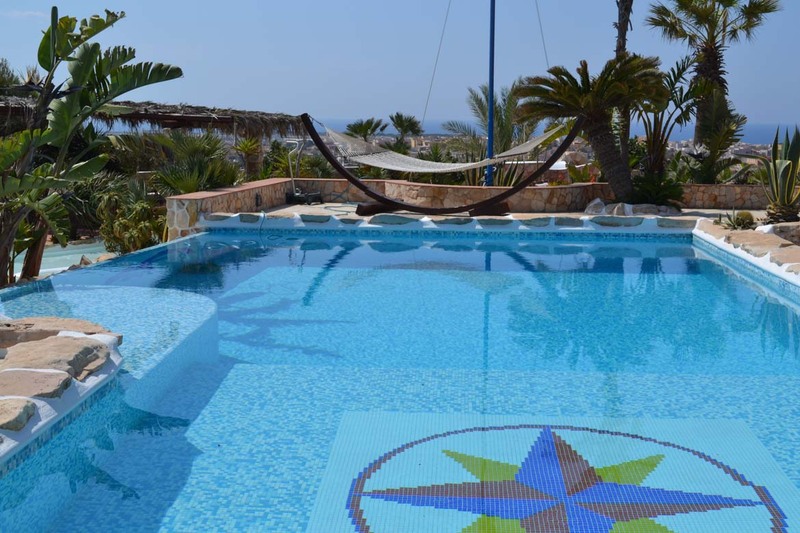 Or enjoy our swimming pool in the afternoon, after an exciting day on the beach. 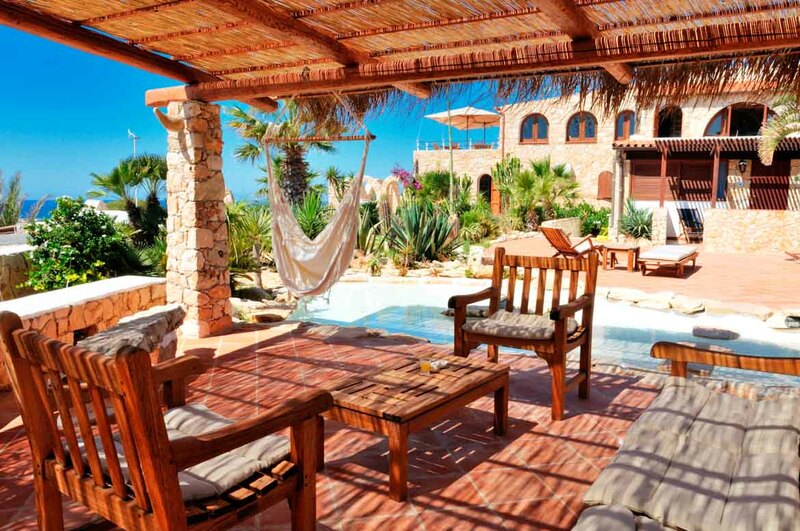 Deck chairs are at your disposal to just relax while waiting for the romantic evening aperitif. 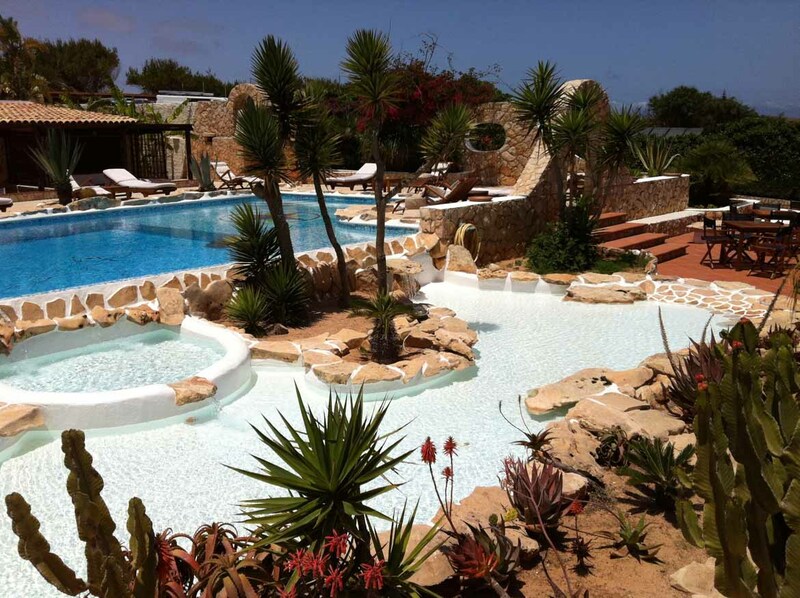 You will see, there is nothing better than conclude your wonderful holiday under the stars of Lampedusa. 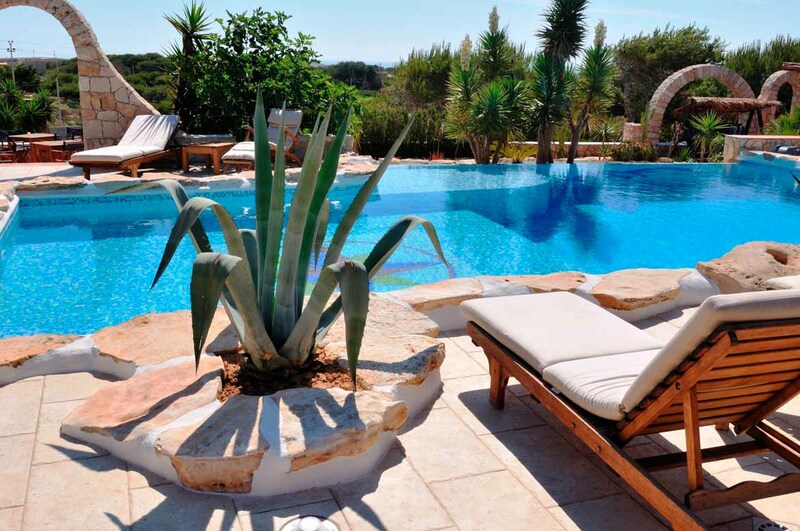 And our swimming pool is the best location for it. 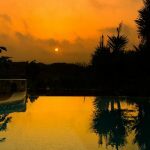 Our tip: a fine glass of wine or a nice drink would just suit perfect.